"Yang" elements are: fire and air. They are compatible with each other. "Yin" elements, which are also compatible, are water and earth. Often, we can fall inlove people with whom we are compatible from the first sight, and start relationships almost immediately. But, it is nice to start with compatibility by Zodiac signs. It is the most informative and profitable start. Though some astrologists believe that there are certain compensations for Zodiac incompatibility, we are quite skeptical about it. 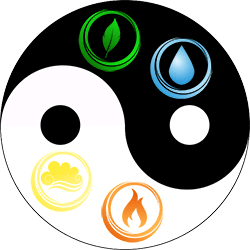 Yang and Yin elements are quite opposite, they are stressful together. If you have a tender Yin energy, it will be hard for you to live together with dominant Yang, and your partner will feel it as well. Normal communication in such cases is rare. Note that being close together for a person with opposite energy may negatively influence your health. It is possible, and bearable, but causes some health problems. House Overlays shows what people think about each other and what their feelings are, as well as their expectations and hopes from this relationship and how they can influence each other. The planets that are layered one over another show in which house the planet of your soul mate is present. The overlay process indicates what one person thinks about the mate, which image partners have in the eyes of each other. The planet person (person who's planets coincide with your houses) has similar expectations from the relationships as their general perceptions seen from houses are, it defines the strategy of behavior. A house person will have a certain response behavior which is apt to the planets in his or her houses. After that, we do the same for a planet people and their houses and chart. This synastry feature will help you understand the intentions of your possible romantic partner. Overlays shouldn't really depict whether you are compatible or not according to your personalities. They show how partners imagine each other. The way we imagine each other reflects the way we treat each other and how we are able to coexist with each other. Are the partners afraid of commitment? Are they exited? Are they confused? In practice, overlays show the spheres in life of the house person that will be influenced by the presence of other person. It depends on the perception of the planet person. Depending on the house the planet person is in will be made an opinion about house person. If the house is favorable, the image is nice and otherwise. As House Overlays reflect hopes and expectations regarding the partner, they can show the problematic areas in probable relationships. A lot of troubles, breakups, and aloofness come because two partners had different view and perfect image of each other, and in one moment they realized that the image doesn't correspond to original. The House Overlays will show some misconceptions the partner has regarding each other. They should be discussed at the very beginning of the relationships, to make everything clear. Also House Overlays show the reason why people don't suit each other, or why they didn't succeed. The aspects from two birth charts of partners can open how two people will make it up. 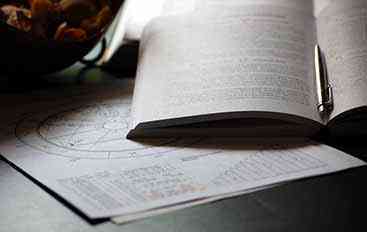 Planets with balanced aspects implicate that the degrees of the planet mix together in a favorable way for a couple. 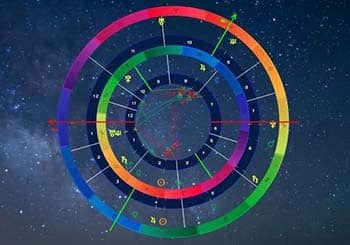 Planets in the opposite situation are called dynamic or inharmonious, cause stressful and chaotic relationships. For instance, a Moon in conjunct with Venus will create sensuous, bright, romantic and warm connection between partners, though even the other part of Synastry analysis says that inharmonious relationships are possible. Everything should be checked altogether. In other situation when Moon and Venus are in square then instant stresses, anxiety and frustration will occur. Perfect Synastry is so rare, don't think that you can easily find someone who coincides with all the parameters at once. Look for a person whose aspects are positive, rather than negative to yours. 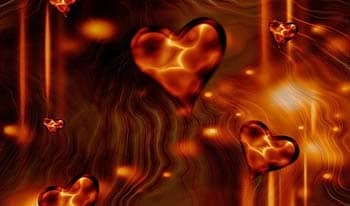 If the energies of the aspects are negative, the relationships will be suffocating, nervous and exhausting for partners, and only attraction wouldn't be able to overcome it.